This entry was posted in Stock News and Tips and tagged Bitcoin, bot, cryptocurrency, Ethereum, Litecoin, trading on March 27, 2019 by caustic. This entry was posted in Stock News and Tips and tagged algo, Bitcoin, bot, cryptocurrency, ETH, Litecoin, trading, USA!, win on February 27, 2019 by caustic. This entry was posted in Stock News and Tips and tagged Bitcoin, ETH, Litecoin, USA! on February 27, 2019 by caustic. I found this by accident on Investing.com. Intraday technical charts show strong sells but not on the daily. This was consistent across all timeframes for 3 different crypto currency pairs from Binance. This was found after my frequency crypto currency analysis. I was struggling to find answers where some signals work, others did not. After watching this, you will find the scanner works for picking the potentially hot crypto currency pairs. The profit or opportunity appears to be in the intraday at 5 and 15 minute levels with strong buy. There is the occasional opportunity on a hourly level as well. This entry was posted in Bitcoin Crypto Currency, Quant Development and tagged Bitcoin, cash, daily, Huge, intraday, Litecoin, moves on July 30, 2018 by caustic. If you look at the next generation of crypto currency coins, they are now being added to the Bloomberg Terminal service. This is another way of saying this new asset class is here to stay. Like it or not, with mainstream US futures markets and now this event, it only goes to show which asset class will be most lucrative for next year. In coming weeks, our Facebook ads will be going live. All product/services you know are going up. Much up. Got queries let me know about this. In the meantime, enjoy our ultra goodies for your Xmas self. This means we will be targeting the UHNW folks out there. OTW, we go up market or primo. 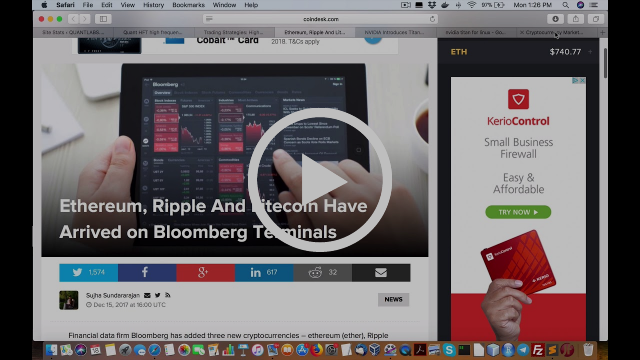 This entry was posted in Bitcoin Crypto Currency and tagged Bloomberg, Ethereum, Litecoin, Ripple, Terminals on December 18, 2017 by caustic. 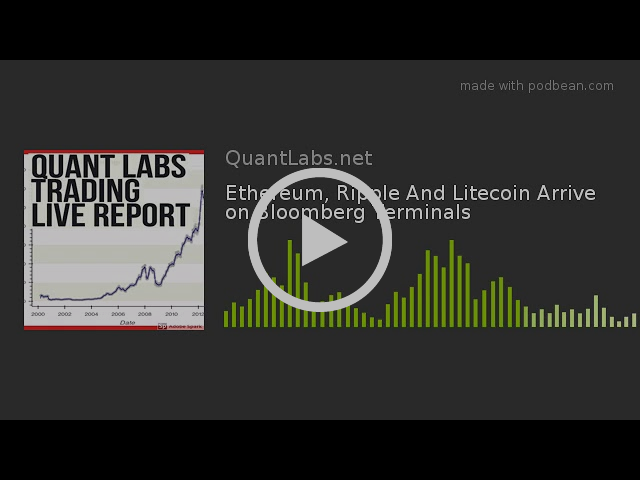 This entry was posted in Uncategorized and tagged Bloomberg, Ethereum, Litecoin, Ripple, Terminals on December 18, 2017 by caustic. This entry was posted in Bitcoin Crypto Currency and tagged Bitcoin, clearing houses, Litecoin, rises, risk, systematic on December 12, 2017 by caustic.